Planning design concepts in response to design brief and requirements with timely deliverables. Creating a wide range of visual graphics and layouts of marketing materials, publications, printed works, illustrations, logos, digital ads, web banners, infographics, electronic direct mail (EDM), websites and other media. Responsible for creating and enhancing overall brand visual elements, mood and tone, campaign s art direction, based on the correct implementation of brand guidelines and corporate visual identity. Communicating with Marcom manager about layout and design. Skills: Adobe Photoshop, Adobe Illustrator, Adobe InDesign,Dreamweaver, Visual Studio. and other design software. Please sharethe related link of graphic work,. Work closely with regional to launch assigned projects on time and submit PR reports which include weekly and monthly reports. Act as a central intelligence who collects, sorts, manages, and provides corporate facts and information and updates. Work cross-functionally within the business unit or with the regional groups (regional marketing, regional PR, etc.) to ensure accurate utilization of corporate information on various touch points i.e. on website, social media, print materials. 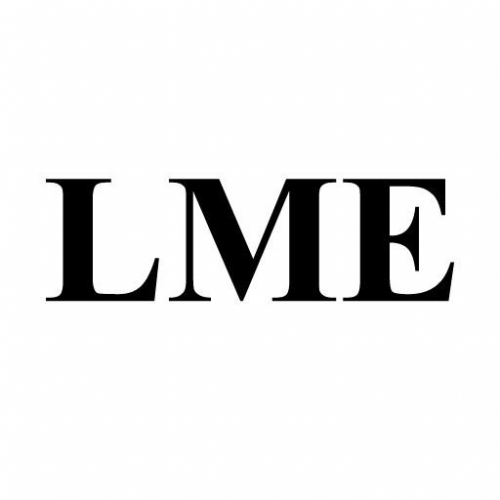 Strategic PR management and execution. 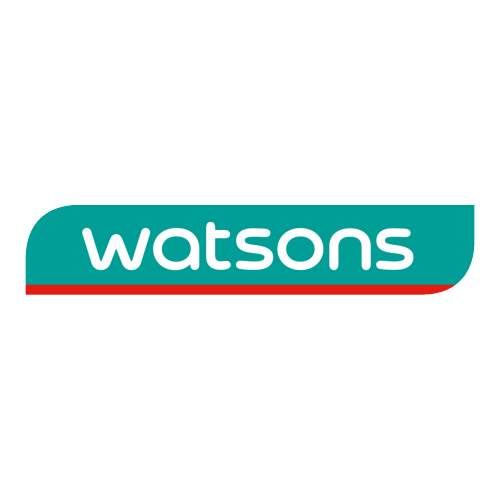 Create and develop appropriate external / internal PR communication plans and strategies for corporate, promotions, and Watsons own brands by planning and developing a comprehensive Communications strategies to enhance Watsons brand performance. Manage external PR partners for news gathering, write and distribute press/photo release, draft speeches and/or any communication materials to ensure consistent PR messages with appropriate tone of voice. Media and stakeholder relations management. Build and maintain professional relationships with key media to maximize positive publicity and strengthen corporate brand image and a good relationship with stakeholders based on business plan. Corporate / PR / CSR event organization and management. Proactively lead and work with agencies (i.e. event, PR, ad agencies) for planning and implementing activities to achieve PR objectives. Execute internal communications to drive awareness of various issues (i.e. marketing campaigns, internal activities, promotions, corporate messages) among staff through all channels of internal communications. Report preparation and corporate information management. Monitor media coverage, keep proper clippings on file and prepare monthly media mileage. Maintain updated corporate information, boilerplate, press kit, PR manuals, key messages and related PR material on regular basis. Bachelor Degree or higher in Public Relations, Mass Communications, Marketing Communications, Liberal Arts, Journalism or related fields. At least 3 years of experience in Public Relations and/or Marketing Communications. Strong interpersonal / leadership skills and communication skills. Good command of English and Thai with strong writing skill. Having experience in PR agency is preferred. Having experience in organizing and managing end-to-end projects or event management is an advantage. iKala is an AI-driven marketing technology company. 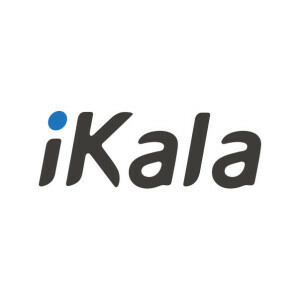 Headquartered in Taiwan and operating in Singapore, Taiwan, Japan, Thailand and Vietnam, iKala dedicates to developing marketing products that help advertisers and marketers do better jobs. Shoplus, based on the AI core knowledge of iKala, is an one-dashboard AI powered online tool tailored to meet social sellers' needs. Asia is the future of Shoplus and we are poised for exponential growth in the region for the next ten years via AI technology. If you love to sweat, thrive in the cutting-edge environment of AI, and always embrace yourself to become better and value "FUN", this is the place for you!. Main focus Shoplus product manager will be responsible for teaming with developers, designers, and local PMs/marketers to deliver Shoplus applications across the iOS, Android, chatbot, and web platforms, based on users' feedback and data. Responsibilities . Oversee the creation of product requirements documents, schedules and supporting materials in partnership with design, content, technology, social, marketing and 3rd party vendor/partner teams. Define requirements via users interviews, business drivers, competitive analysis and research. Develop product documentation including specifications, user flows etc. Facilitate communication across all project phases and proactively alert senior management of changes to scope, timelines, resources and vendor/partners management issues. Run scrum and be one of the scrum masters, providing day-to-day cross-functional leadership to ensure the timely delivery of projects which meet established feature, usability, content and quality requirements. Qualifications . 3-5 years of web, mobile web and mobile app product management experience. Solution oriented, highly-motivated and proactive self-starter. Strong grasp of information architecture and user experience best practices (both web and mobile). Work Conditions . Sometimes traveling to Shoplus severed regions. 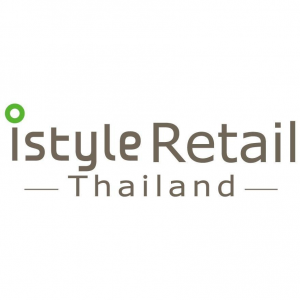 This position is in charge of creating and conducting the marketing plan for the stores which puts the main purpose as gaining the brand awareness and motivate customers for the store visit. In achieving so, the management of the subordinating staffs to further conduct effective branding is another responsibility at priority. Utilization of promotion and advertisement budget efficiently and create the maximum level of store brand awareness to the potential customers. Utilization of mascot (coordinate with relevant parties). Coordinate with Stores on key visual merchandising efforts. Worked as Marketing (such as Ads, CRM, Event, etc) for at least three years. สามารถเขียนเนื้อหาในรูปแบบต่างๆที่เหมาะสมกับแบรนด์ในช่องทาง Media ต่างๆ. ชำนาญในการพิสูจน์อักษร. สามารถเขียนเนื้อหาได้ทั้งภาษาไทยและภาษาอังกฤษ. สามารถเขียนสคริป /บทสัมภาษณ์ /Clip online/ Reviewสินค้า ฯลฯ. เงินเดือน: เริ่มต้นที่ 12,000 ขึ้นไป (ตามตกลง). หากสื่อสารภาษาอังกฤษและทำข้อสอบได้ 15 ข้อขึ้นไป สตาร์ท 15,000 บาท. ทำงาน:10.00 -22.00น. (โอทีบังคับ 3 ชม.). ทำงาน: จ-พฤ 10.00 - 19.00, ศ-ส-อ 10.00 - 22.00 น. (โอทีบังคับ 3 ชม.). ทำงาน: จ - พฤ 13.00 - 22.00 น., ศ-ส-อ 10.00 - 22.00 น. (โอทีบังคับ 3 ชม.). ทำงาน 6 วัน หยุด 1 วัน/สัปดาห์ (ไม่ตรง ศุกร์-เสาร์-อาทิตย์). overseeing and developing marketing campaigns. conducting research and analysing data to identify and define audiences. devising and presenting ideas and strategies. writing and proofreading creative copy. organising events and product exhibitions. Candidates who have experiences in beauty and healthcare product is favorable and Chinese langauge is optional. 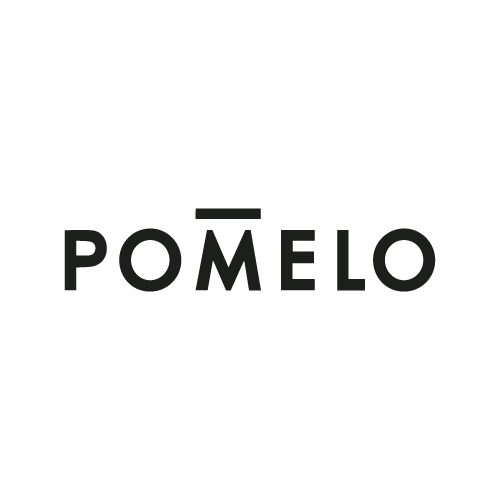 Pomelo is leading online fashion company in Emerging Asia. We are expanding our business to Omni-channel to deliver the best experience to our customers. Pomelo Partner is our latest project that turn any location to Pomelo pick up and drop off point. Customers can shop online then pick up and try on at partner location and only pay for what they want. Partner only need Pomelo application to manage all steps. We are scaling up this project in Thailand and soon for SEA. We are searching for an operation associate who is proactive and passionate about e-commerce service and has a data driven mindset. You will be the key person who develop and deliver the solution to partner and work on prevention / process improvement on every aspect of the operation including fulfillment, outbound logistics, returns, and refunds. Also analyze the process that happen at partner store and provide suggestions to improve service quality and reduce operation cost. Gather data and provide solution for partner regarding operational process. Collaborating with internal departments to facilitate partner fulfillment and operational needs. Bachelors degree in Industrial Engineering, business or related field. 1-2 years of experience in Operation field would be a plus. Strong in analytic with ability to collect, track, and analyze qualitative data. Adaptability and strong problem solving skills. 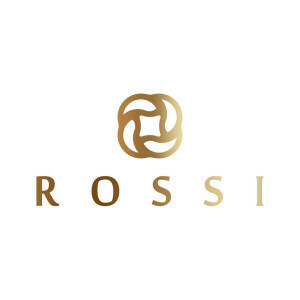 We will be making our presence in the heart of Singapore - 313 Somerset in June 2019. Come and be part of the pioneer batch now! As the Agile Coach, you will be a servant leader who coach teams to self-organize, self-manage and deliver via effective and agreed upon agile practices. You will remove impediments and foster an environment where team members collaborate freely, produce high-quality products and/or services, and continually strive to improve. You will spend much of your time helping team members communicate, cooperate and assist in the development of products and services. As the main Agile Coach, you will lead all teams in all facets of Agile frameworks. Their role is to ensure standards are set and met across teams and projects; from staff training to facilitation of the various methodologies, to communication and reporting. As an Agile Coach, you will works with both the team and program level, as well as with senior leadership, to facilitate the adoption of agile practices and improve the maturity of team quality and delivery. Mentors Scrum Masters and ensures continued growth through challenging assignments and training. Ensures that basic standards and ways of working are consistent across agile teams. Leads long-term agile strategy and creates an Agile Center of Excellence. Acts as Scrum Master for 2 to 3 teams. Facilitate agile ceremonies for several teams simultaneously: large group and team product backlog refinement and planning, product backlog estimation, sprint planning, daily stand-up, sprint review, and retrospective. Train new teams in the fundamental principles and values of Agile, including Scrum and/or Kanban frameworks; develop and refine training materials. Develop, implement and/or maintain information radiators, external communication tools, status reports, and executive dashboards. Support and educate Product Owners to refine and clarify the product backlog in support of deliverables. Assess team maturity and mentor the team where opportunities for improvement exist; rate of change should occur at a sustainable pace for the team and organization. Coordinate with other team Product Owners and team members to share information and aid in the removal of impediments and account for upcoming dependencies. 3+ years in an Agile Coach role with a proven track record of successful data-driven projects. 5+ years of combined programming/systems experience, with at least two years in a management/project management capacity. JIRA expert, in all modules, creation, workflow, notification, groups, and permissions. Team player and highly analytical mindset. The Senior DBA position will be responsible for maintaining the companys database systems (currently MySQL in RDS) including backup scripts, performance tuning, capacity planning, monitoring critical events and documentation. Test, validate and implement performance and resource optimization improvements. daily maintenance, monitoring, problem resolution, and internal customer and dev support. Experience managing servers in large-scale, geographically diverse environments. Experience with other Data Persistence platforms: RDBMS (Oracle, Postgres**), NoSQL, Hadoop, and etc.